The concept of marketplaces has revolutionised the way products and services are consumed by the world population.The advent of on demand availability, has been like a Tsunami flooding over one industry sector after another.Uber for X has been the constant buzzword for at least half a decade now. This has started a trend of Aggregation in the traditionally personalised businesses like personal grooming and paramedical care. An online app for business make it more attractive and customer worthy. Despite of unstable national economy, there is constant high demand market of salon services. The market leader in this segment is IRIS. Salon Iris is a simple to-utilize and quite affordable salon management application. Salon Iris has web as well as phone application that makes it easy to monitor the spa and salon activities. According to Capterra report the people using Salon Iris software for their business have increased their profit by 20%. In 2017 global spas & beauty salons market was valued at around 128.59 billion USD and by 2024 it is expected to reach approx 190.81 B USD growing at a CAGR of above 5.80% between 2018 & 2024. A recent study shows that the value of spa industry is currently around $14.99 billion and will continue to grow at a fast pace. Skin care is a close second and growing fast, expected to have revenue of almost $11 billion by 2018. As an owner a Salon software will help to build up your business. In short, it facilitates owner to increase revenue and expands business. Good salon software will help to boost your online presence and your marketing efforts. Using a spa or salon management software will provide safety to your valuable business records. Your appointment schedule, client information, inventory count, and sales history will be safely guarded. Get report analysis that will help you to get quick view on sales. Reliability plans urge your customers to return for further treatments and also refer friends and family for services. Allow clients to book their salon appointment weeks in advance and facilitates online booking at any time and from anywhere. Gives client reminders for future booked appointment. Clients easily get about store information and can know about the history of business. Customer can pay easily for the services they have availed. Why do you need On-Demand Spa & Salon Management Software? Competitive development costs to help you save money while you make more money. Get your salon management app branded with your own logo and name for Android, iPhone and iPad. Dramatically boost sales of your featured services. Manage online booking, viewing client information keep your business on your finger tip. Boost your customer loyalty and retention by sending coupons, via mobile push notifications - a great mobile marketing tool. Build an app with a long lasting future. Our products are designed to be flexible for future development. 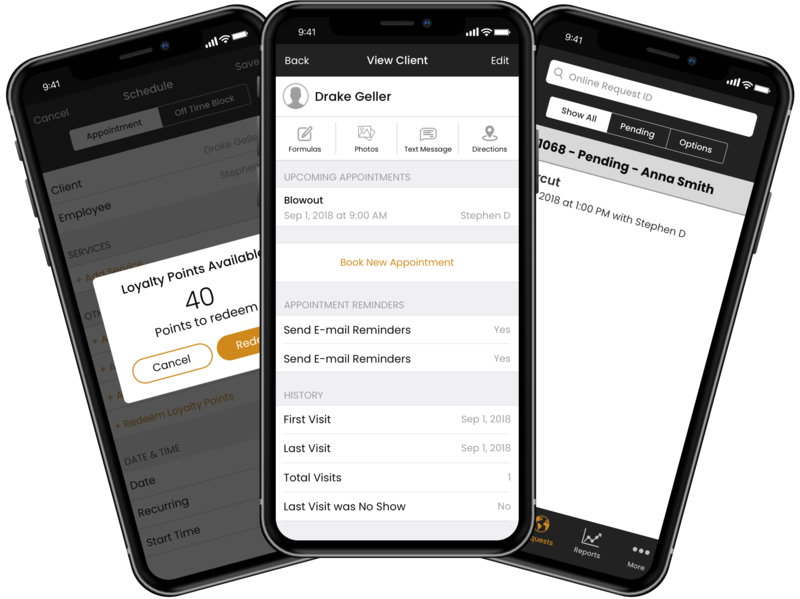 Its easy to schedule appointments using Salon Iris app, it facilitates to block day time when you dont want the appointments and accept online booking appointments according to your will. 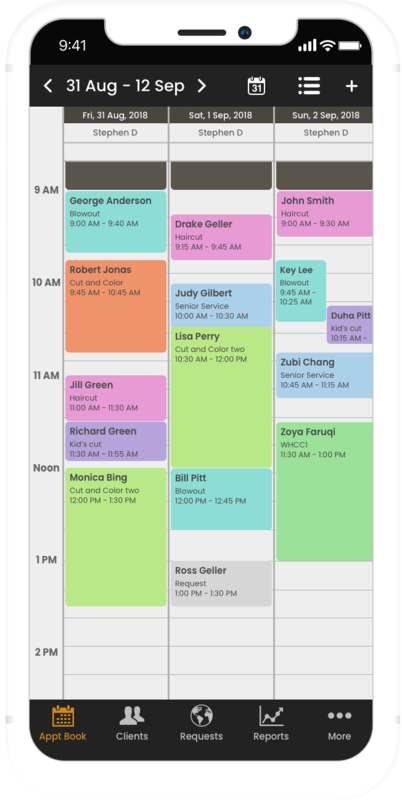 Managers can keep an eye on stylist or technician schedules on demand. Salon Iris software helps to customize salon online booking in minutes and it takes 24/7 online appointments. It has integrated POS system. Swipe your card in card reader, when its done automatically email will be sent to the customer. Salon Iris has features that is rich in client management like can view past product/service purchases and upcoming appointments of clients. Using Salon Iris app its easy to keep up-to-date data of client, it enable us to contact clients easily through text/emails. Tracking product sales and inventory allows a regular stock review for quick analysis of current and future needs of salon products. Let’s Nurture is a unique pool of expert resources who will make your Salon Iris awesome. How LetsNurture can help you with On-Demand Spa & Salon Management Software? Expert Professionals for iOS/Android app development. Successfully deployed numerous On-Demand Mobile Apps. Affordable spa and salon management On-Demand Cost. Coding as per App Store Guidelines. Guaranteed Approval in App Stores. Have an idea to develop App like Salon Iris for your Beauty Business? How much experience do you have in developing an on demand appointment booking application like Salon Iris? Being the top mobile app development company, Let’s Nurture has rich portfolio in developing custom web and mobile applications on all platforms for on demand marketplaces. Please click this page . Also, visit our portfolio page on salon appointment booking platform using AR technology that helps users to select and try hair styles they wish for. This smart solution saves you time and manage your salon appointments easier than ever. A booking platform with much more goodies for salons who want to provide value for their customers by ultimate mobile app experience and enhance business. What would be better for on demand Salon app development? - A single app for all, Salon owners/ staff / customers or a separate mobile app? A single app will be sufficient where we can ask user to select their intent. 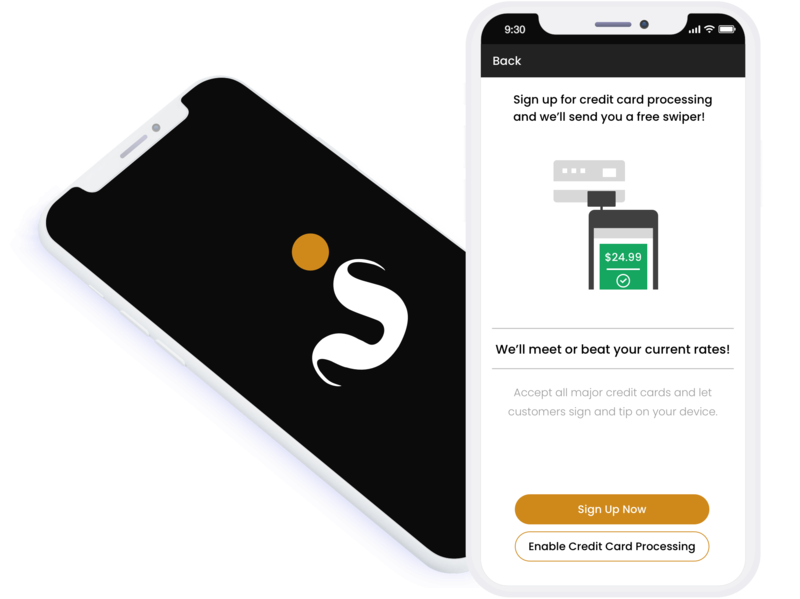 This also enables salon owners and other staff members to book an appointment for themselves using the same app when needed, just like a normal customer, so that they do not need to download another app to order. What can be done for a group or chain of Salon shops in multiple locations? We can provide a centralized system for the Admin (Salon Owner) of multiple salon shops. Each salon or spa in a group or chain generates its own operational data like appointments, client records, employee records, inventory usage, income, etc. and has no access to another salon’s data. Such data may be accessed and pooled at a central location to enable centralized oversight, shared resources, or call center abilities for scheduling, marketing, inventory, etc. Can you provide multilingual feature for my on demand Salon App Development Project? Can we have a chat functionality with which customers can chat with the Salon owners and staff? Of course, we can implement a chat module using XMPP in salon app- a non-intrusive form of communication that allows Text and Image content. It also boosts User Engagement and Retention. So, one-to-one Chat functionality can be included in the scope so that users can chat through the mobile app with salon owners and staff. Do you offer free consultation to understand more about Salon app development project? Can you provide option to hire dedicated web and mobile developers for my project of health tracking app development for dogs/ pets? Have an !dea to develop App like Salon Iris for your Beauty Business?